One of the nation’s priciest residences, Harold Vanderbilt’s Villa di Venezia, the 1929 Italian Renaissance mansion at 1100 South Ocean Boulevard in Manalapan, went on the auction block and was bought by mortgage holder, New Stream Capital, on the steps of the courthouse, for $22-MM. New Stream will put the property back on the market to recoup its investment. 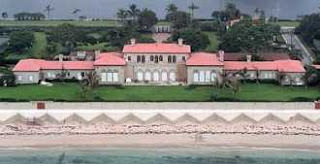 The 20,000 sq ft Maurice Fatio home was sold to Randolph Hearst by Mel and Bren Simon for $29.87-MM in 2000, a record sale for Florida at that time. Hearst died 6 months later and his widow, Veronica, was left the house but did not have the money to maintain it. Veronica Hearst paid for property taxes, renovations, etc. by borrowing millions of dollars against the home’ value, selling 150 feet south of the property for $6.2MM. 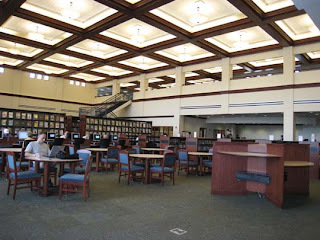 NEW SPANISH RIVER LIBRARY IN BOCA NOW OPEN… MAKE A VISIT A MUST! Enter into a huge reading room with volume ceilings and high windows giving off light, and find a serene atmosphere, perfect for enjoying a book or a magazine. 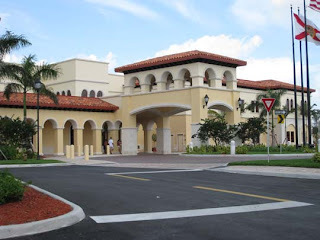 The facility is about 40,000 sq feet, a Mizner-inspired design, features decorative arches and faux coral stone columns, a Spanish tile roof, the man-made Blue Lake, coffered ceilings and dark cherry wood trim. Approved by voters, Countess de Hoernle's philanthropic gift greatly reduced our costs. Go visit and be proud to take guests from out-of-town to lunch at the Library Cafe. Check out the thousands of free books, newspapers, magazines, periodicals and more. Wireless computer outlets are available. 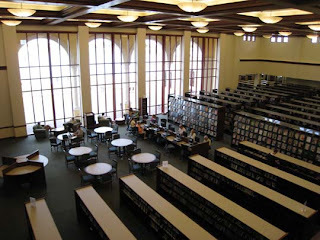 The upstairs balcony area, as well as the main reading room, is perfect for studying and reading. Ground was broken on April 2, 2004 to start building the Library, and now that construction is complete, the library opened January 26, 2008. There are two Computer Labs each seating a dozen people. There is a Children’s Lab with learning games and application software. A spcial Teen Room for Tweens and Teens is provided. 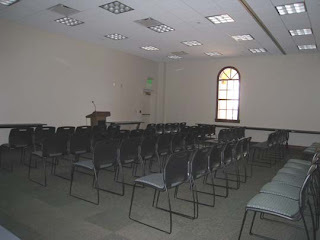 Rooms and beautiful outdoor areas, some with pretty Blue Lake views, are available for meetings and events. Friends of the Boca Raton Public Library offer a chance to win a $25 gift certificate and other prizes every day you come to one of the libraries from February 1-29. 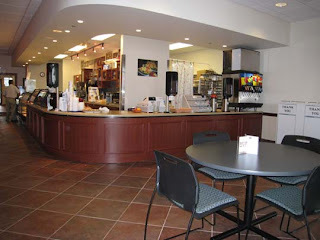 The Library Café fixes fresh salads and foods and has wonderful cookies, cakes and pastries. They can do catering for any kinds of parties. Email torocsikpeter@yahoo.com or call 561-305-8646. You can eat in the café, or go outside to the tables overlooking the pretty lake. Programs are featured and you can join The Friends of the Boca Raton Library for $25 or less. Hours are Monday through Thursday, 9 am to 9 pm. Friday and Saturday, 9 am to 6 pm. Sunday, 12 noon to 8 pm. For more information go to www.bocalibrary.org. Gary Nikolits, Palm Beach County Property Appraiser, reminds homeowners that there is less than a month left to file for 2008 homestead exemption and portability benefits and has extended office hours for the next three weeks. Extended hours will be available at the service center on the first floor of the Governmental Center at 301 N. Olive Avenue in West Palm Beach, at 3188 PGA Boulevard in Palm Beach Gardens and 501 So. Congress Avenue in Delray Beach, and 200 Civic Center Way in Royal Palm Beach. These offices will be open from 7:30 am to 6 pm weekdays. Filing deadline for exemptions is Monday, March 3rd. It is suggested to file as early as possible to avoid long lines. You can file online on the Property Appraiser’s website; go to the Exemption E-File link on the home page and follow the prompts. For more information, call 561-355-2866. HERE is your opportunity for international exposure of your work! POETRY PROTOCOL, Syndicate is currently accepting poetry for it's International Poetry Quarterly. You also have the opportunity to submit your work for the '10TH ANNUAL MARILYN FARBER JACOBS POETRY AWARD' Contest! Grand prize: ONE HUNDRED DOLLARS!! Second Place: $50; Honorable Mention Certificates Awarded. SUBMISSION GUIDELINES: Theme: open - any style or genre of poetry; 20 lines or less; typed or printed, double spaced; deadline is March 18, 2008; entry fee: $5 for unlimited poem entries. Please make check out to: North Tulsa Literary Guild, Inc. and mail to North Tulsa Literary Guild, P.O. Box 6221, Tulsa, OK 74148-0221. ANYONE CAN ENTER! “The Beguiling Begonias Workshop” will be held Saturday, Feburay 9th from 9 am to noon in the Mounts Botanical Garden auditorium, located at 559 North Military Trail in West Palm Beach. Begonias are perennial landscape plants that grow well in Florida. See slides and live plants to learn about the various types of rhizomatous, cane and other begonias, which will thrive in your garden. Each attendee will learn how to propagate these begonias and will pot up a tray of assorted cuttings to take home. Admission price is $40 for members, $50 for non-members – Admission price includes potting materials and begonia cuttings. Workshop will be held in the Garden Pavilion. If you want to expand your begonia collection there will be a selection available for purchase after the workshop. Call Mounts to reserve space. Mounts features plants from 6 continents on 14 acres. For information contact Joy Ford Le at 561-233-1747 or jlford@co.palm-beach.fl.us.